South Africa’s rugby landscape will have a strong international flavour in 2019, with the return of an Argentinean XV, Namibia and Zimbabwe. Saracens have bolstered their second-row stocks with the signing of Stormers and Western Province lock Chris van Zyl on a short-term deal. The Free State Cheetahs have beaten the SWD Eagles in a Currie Cup promotion/relegation match to secure their Premier Division status for next season. Sale Sharks have signed flyhalf Robert du Preez on a three-month contract from Super Rugby franchise, the Sharks. The Currie Cup format is reportedly set to be changed for the 2019 edition. They didn’t end up with the Currie Cup this year but WP did end the just completed domestic seasons with a trove of both negative and positive points to ponder. Coach Franco Smith has announced the strongest possible team to defend the Free State Cheetahs’ Currie Cup status against the SWD Eagles. 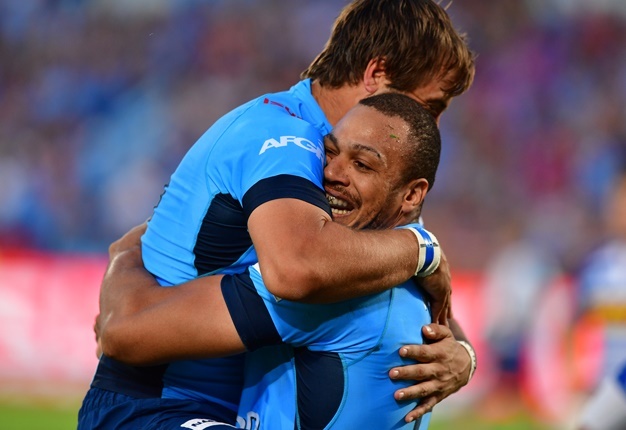 Sport24’s Herman Mostert highlights FIVE talking points after the Currie Cup final between Western Province and the Sharks at Newlands. Sharks coach Robert du Preez lauded his charges for the pressure they put on Western Province in the Currie Cup final. Western Province coach John Dobson says their troubles at lineout time cost them in the Currie Cup final defeat to the Sharks. From the Currie Cup semi-final to the Premier League, here is your sporting weekend in 11 images. Western Province loose forwards Siya Kolisi and Sikhumbuzo visited pupils at Steenberg High School on Monday, as part of the Currie Cup's school scholarship programme. Watch. Missed any action over the weekend? Here are 9 highlights from your sporting weekend. VIDEO: WP resurgence thanks to Gert Smal? In the wake of Western Province's Currie Cup final victory, Sport24 says spare a thought for director of rugby at WP, Gert Smal. While coach Allister Coetzee deserves credit for steering his team to glory, Gert Smal's appointment was significant, after the Stormers' disastrous Super Rugby campaign. Watch. The Free State Cheetahs and SWD Eagles will know their Currie Cup fate on Tuesday evening after they meet in a promotion/relegation match. Currie Cup final: What happens if the scores are tied? There will be no shared Currie Cup title if extra time cannot separate Western Province and the Sharks on Saturday. Sharks coach Robert du Preez believes the pressure in Saturday's Currie Cup final will be on Western Province. The coaches have played their cards, and the sides have been named for Saturday's Currie Cup final at Newlands. Final: Sign of SA rugby power-shift to coast? Though stung badly for this theory before, Rob Houwing takes the risk - again - of suggesting SA rugby supremacy will NOT rest in Jo’burg for Super Rugby 2019. Gloucester to Bulls: Hands off Ackermann! Embattled WP's CEO Zacks for Bulls? The Sharks do not need motivating or inspiration ahead of Saturday’s Currie Cup Final against Western Province at Newlands, says wing S'bu Nkosi. Irish club Munster have poured cold water on speculation that their coach Johann van Graan could return to South Africa as Bulls mentor. The Sharks were crowned Currie Cup champions when they claimed victory over Western Province in the final at Newlands. Saturday's Currie Cup final will still provide a chance for players to put their hands up for Springbok selection, says coach Rassie Erasmus. Western Province and the Sharks are set for what promises to be an explosive Currie Cup final at Newlands on Saturday. Western Province Rugby Group CEO, Paul Zacks, has reaffirmed his commitment to working for Western Province Rugby. The Blue Bulls have confirmed that assistant coach Gary Botha will be leaving Loftus at the end of the junior season. Former Springbok and Natal captain Wynand Claassen says last week’s Currie Cup semi-final was an indication that WP can be beaten. Currie Cup hype: One swallow doesn’t make a summer! There is no doubting last weekend’s Currie Cup action was entertaining, but one swallow doesn’t make a summer, writes Myles Brown, who also has a solution to saving Super Rugby. See how the action unfolded in the Currie Cup final between Western Province and the Sharks. The Sharks are looking to right the wrongs of their 2018 Super Rugby campaign by winning the Currie Cup on Saturday. Western Province coach John Dobson has called referee Jaco Peyper one of the best in the world ahead of Saturday's Currie Cup final. Western Province coach John Dobson has named his team for the Currie Cup final against the Sharks at Newlands. The Sharks have named their team for Saturday's Currie Cup final against Western Province at Newlands. The Sharks come to Newlands as a well balanced and determined team, but Western Province’s biggest challenge may well be how they deal with the pressure.